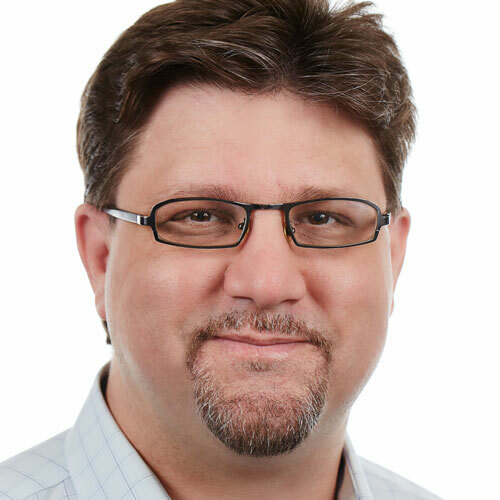 Dan Hermes is a Xamarin and Microsoft MVP, software consultant, IBM Champion, and founder of Lexicon Systems, an award-winning Xamarin and .NET consulting firm. Dan helps developers create great mobile apps and helps businesses develop a winning mobile strategy by leveraging technologies such as Xamarin, Azure, Cognitive, and IoT. His company's Xamarin projects include a cross-platform app for Thermo Fisher Scientific which won a W3, a Davey award, and was a finalist for a Xammy award. Dan's clientele includes dozens of software-building firms such as Fidelity Investments, the Federal Aviation Administration (FAA), and successful, funded startups such as OrthoBullets. He and his team create video and written courseware for clients such as Microsoft. A contemporary Renaissance man, Mr. Hermes is also active in the arts. Dan is a recognized composer, his classical crossover music having aired on National Public Radio (NPR). He is also an active artist, exhibiting his work internationally, and a founding director of Art Technology New England (ATNE). Dan speaks at developer user groups and conferences such as Ignite and IBM Think, and writes articles for publications such as MSDN Magazine and IBM's Mobile Business Insights. Dan is the author of the Apress book Xamarin Mobile Application Development and Building Xamarin.Forms Apps Using XAML.